The Order of Civil and Military Merit of Adolph of Nassau (French: Ordre de Mérite civil et militaire d’Adolphe de Nassau) was created by Grand Duke Adolph on May 8, 1858, when he was still Duke of Nassau. As a matter of fact, it is originally an Order of the Duchy of Nassau. Grand Duke Adolph named the order not after himself but after his medieval ancestor Adolph of Nassau, Roman-German King, who reigned from 1292 to 1298. After the Duchy of Nassau was annexed by Prussia in 1866 the order was not awarded anymore. After Adolph became Grand Duke of Luxembourg he restored the Order in 1890 as a Luxembourgish one. The statutes of the order changed several times, for the last time they were modified in 1927. Already since 1909, the order has eight grades: Grand Cross, Grand Officer, Commander of the Crown, Commander, Officer of the Crown, Officer, Knight of the Crown and Knight. There is also a female equivalent for Commander, the so-called Cross of Honour for Ladies. There are also crosses and medals as part of the Order of Civil and Military Merit of Adolph of Nassau. They are given either as gold or silver crosses or as gold, silver and bronze medals. The badge of the order is a gold cross, enameled in white and it features eight points, each with a white pearl at its end. 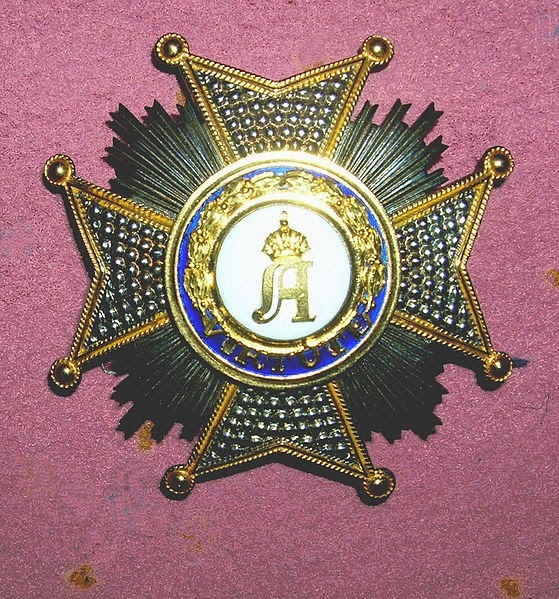 In its centre is a white-enameled medallion which features a golden "A" for Adolph. It is surrounded by an imperial crown. The whole medallion is circled by a laurel crown on a blue-enameled background with the order’s motto “virtute”. The years “1292” and “1858” are engraved on the back. The military grades also feature two crossed swords under the medallion. The plaque consists of a silver star with eight rays and the central medallion is identical to the one of the badge. The military version features again two crossed swords under the medallion. The ribbon is blue with orange edges, these are the colours of the Duchy of Nassau. The ribbon of the Officer features a rosette in identical colours. The order is awarded to foreign heads of state but also to individuals for their meritorious service to the Grand Duke, the Grand Ducal House or Luxembourg or their loyalty to the Grand Duke or the Grand Ducal House or Luxembourg respectively. In addition the order honours scientists and artists who contributed in special way to Luxembourg. It is also handed out to foreigners with the consent of the foreign government. All grades of the Order of Civil and Military Merit of Adolph of Nassau are bestowed by Grand Ducal decree and countersigned by the chancellor of the order. All princes and princesses of the Grand-Ducal House are born members of the order, but they do not receive its insignia until they are 18 years old. 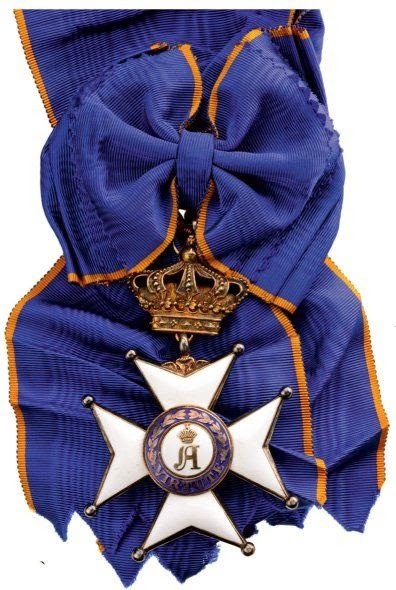 The Order of Civil and Military Merit of Nassau is ranked lower than the Order of the Gold Lion of the House of Nassau and ranked higher as the Order of the Oak Crown. 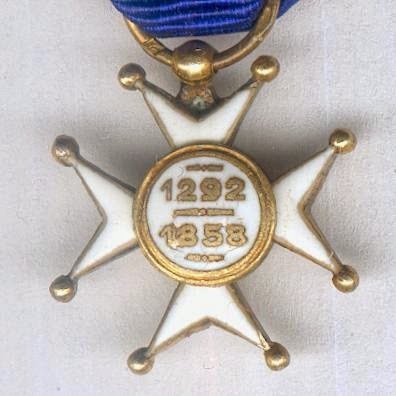 It should not be confused with the Order of Merit of the Grand Duchy of Luxembourg which we already discussed and which is the lowest ranked Luxembourgish order.